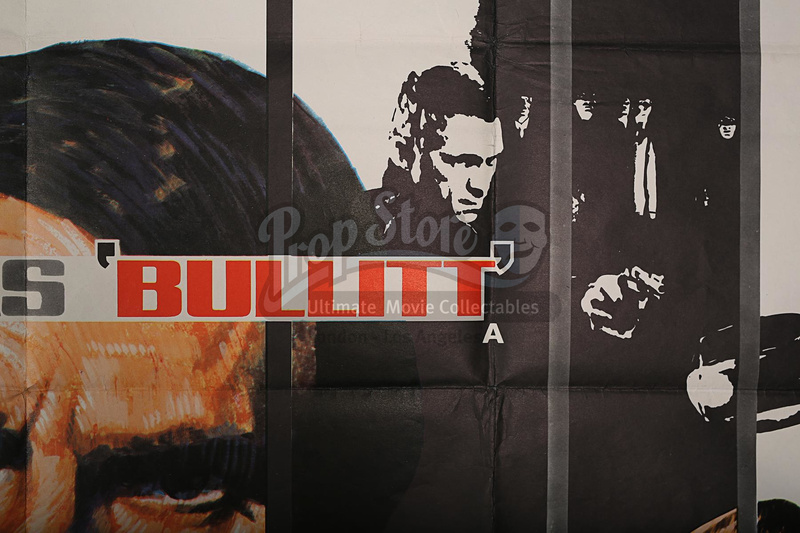 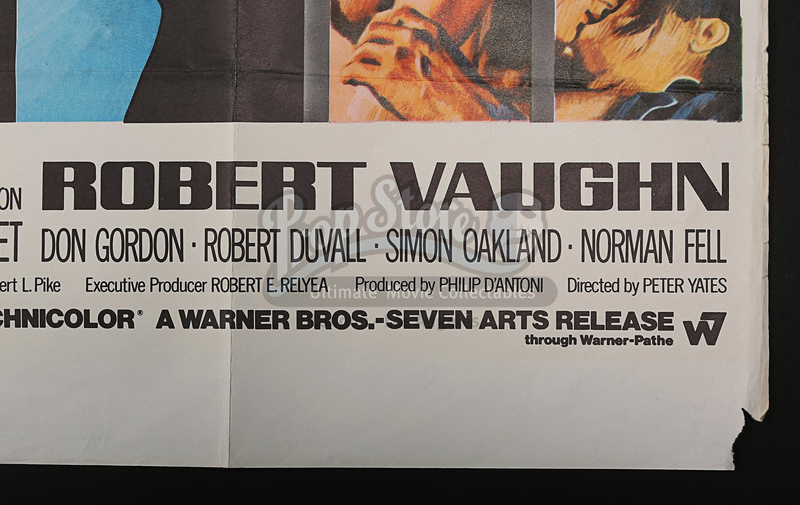 Style-A Quad for the renowned Steve McQueen film, "Bullitt" (1968). 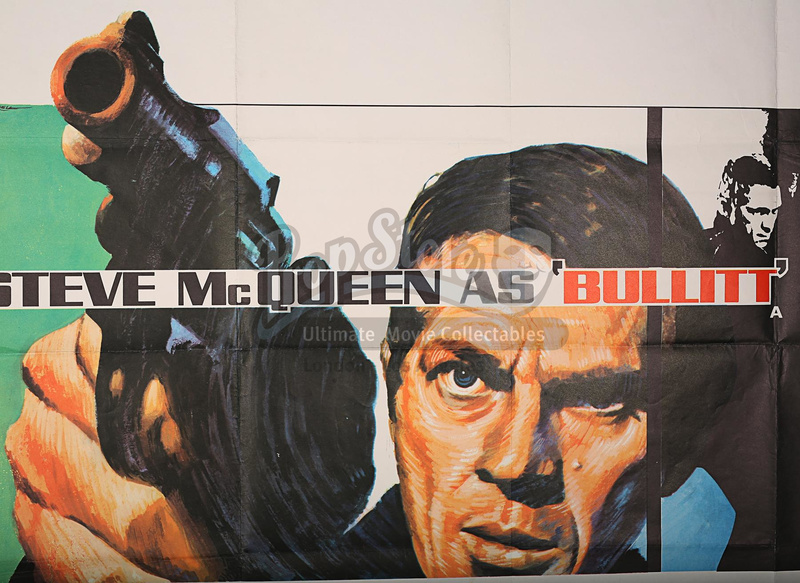 This memorable Chantrell composition provides a close-up image of McQueen, gun in hand. 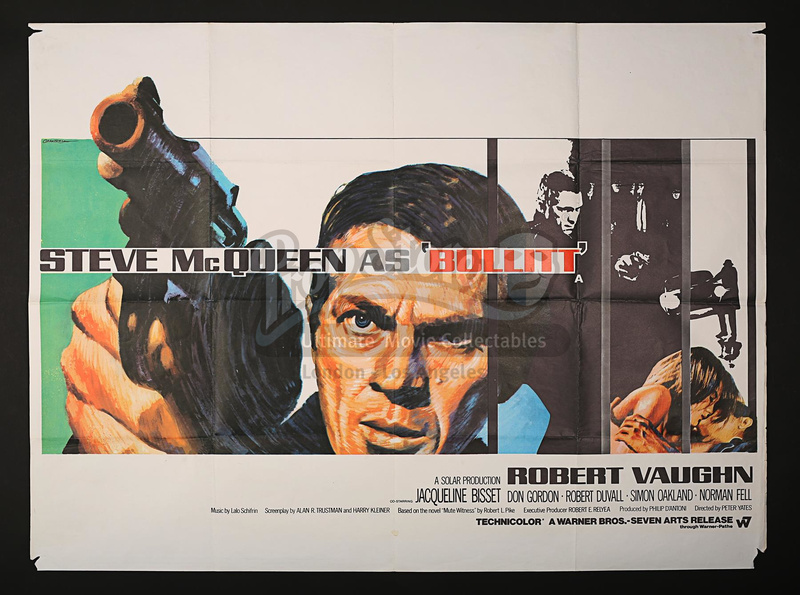 One of the most collectible of all Steve McQueen Quad titles. 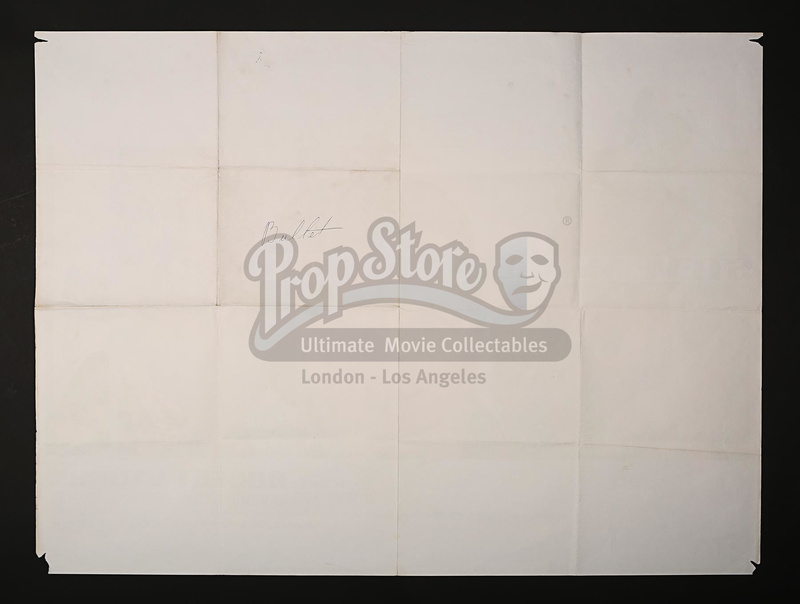 Unrestored and folded with minor paper loss to corners and a few tiny conservation repairs to edge nicks.